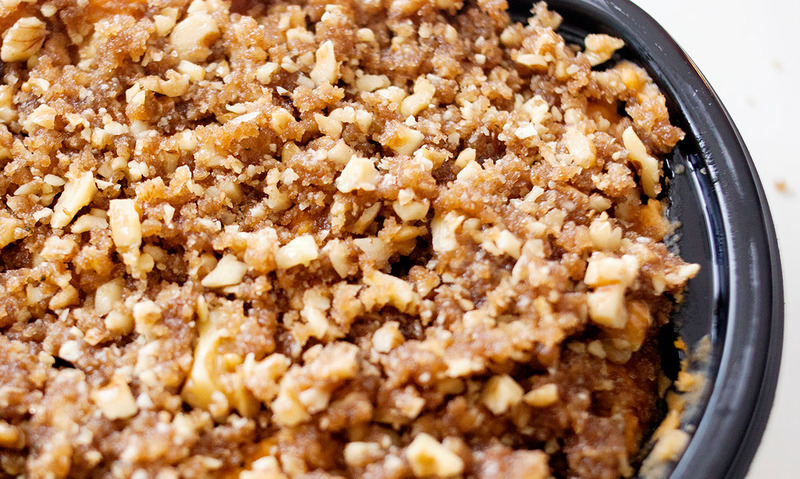 Combining our delicious Mashed Sweet Potatoes with a delectable crumb topping, this sweet & savory casserole is perfect for the holidays. Warmed mashed sweet potatoes per packaging instructions. Mix together the crumb topping, and melt it for 1 minute in the microwave. Add crumb topping to mashed sweet potatoes and transfer to oven safe dish. Broil on high for 3 minutes until crumb topping bubbles. 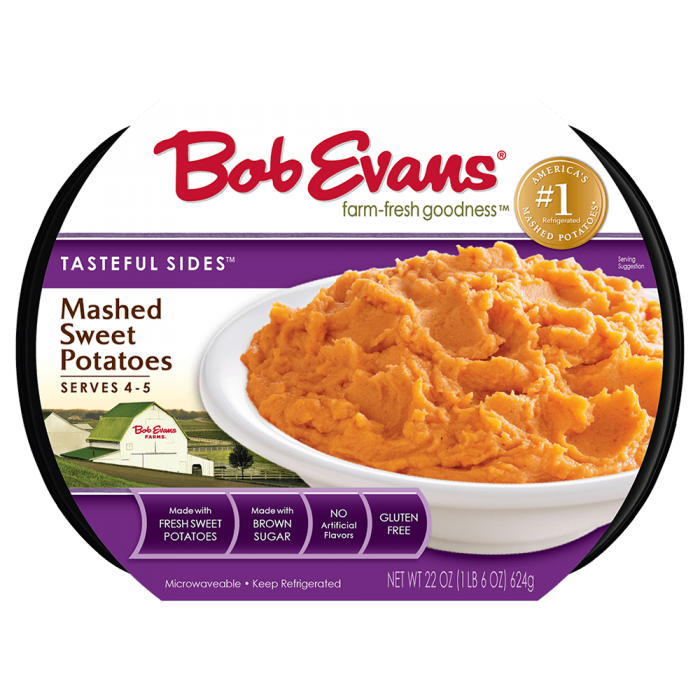 1 Warmed mashed sweet potatoes per packaging instructions. 3 Mix together the crumb topping, and melt it for 1 minute in the microwave. 4 Add crumb topping to mashed sweet potatoes and transfer to oven safe dish. 5 Broil on high for 3 minutes until crumb topping bubbles.